Proposed Stryker Hip Settlement - McMath Woods P.A. Published on Nov 4, 2014 at 8:47 pm in defective hip, hip recall, Howmedica, Stryker, Stryker settlement, Uncategorized. Stryker has agreed to pay more than $1 billion to attempt to settle cases involving its Rejuvenate and ABG II hip implant devices. These devices were voluntarily recalled in July of 2012. McMath Woods P.A. has been handling these types of recalled hip cases and is currently reviewing the detailed settlement agreement that was finalized on Nov. 3, 2014. 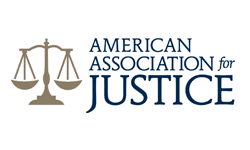 For qualifying plaintiffs, it appears from our initial review that proposed settlement amounts are 300,000 for one revised hip and 600,000 for double hip revisions. There is the possibility for enhancements—meaning a plaintiff’s claim could be bumped up from the 300,000 level or 600,000 level depending on complications and damage. After June 15, 2015, Stryker does have the ability to walk away if not enough Plaintiff’s participate. McMath Woods continues to evaluate these cases and are happy to to provide a free initial consultation. Please be mindful that the settlement program has deadlines. Do not hesitate to contact an attorney if you had one these devices implanted and had to have revision surgery.